On Saturday afternoons we open the shop for Sit & Stitch. This is your opportunity to bring along a current project, or to start a new one and then take time out to stitch in the company of others. We are there to help, and answer questions but no tuition is provided. Come and join us in our inspiring and relaxing workspace, we are limited by size (max 8), so bookings are essential. Cost per person is $10. To find out more and make a booking, contact the shop on 9498 6831. If you have a project that you need some help on or would just like to stitch in the company of others, then this may be the perfect opportunity for you. Our tutor will be there to answer your questions, provide guidence, and encouragement when necessary! Come and join us for a morning each week to get that project underway or completed. We are limited by size (maximum 6), so bookings are essential. Tuition must be pre-paid for the full term. Classes and Tutors are always being added, here is a sample of the workshops that we will have on offer in 2019. Our very talented tutor Alison Snepp will be retiring from teaching at the end of 2019. These are the last workshops that we will have on offer with Alison, and as such they have filled very quickly! Places are limited to 14 participants per workshop. 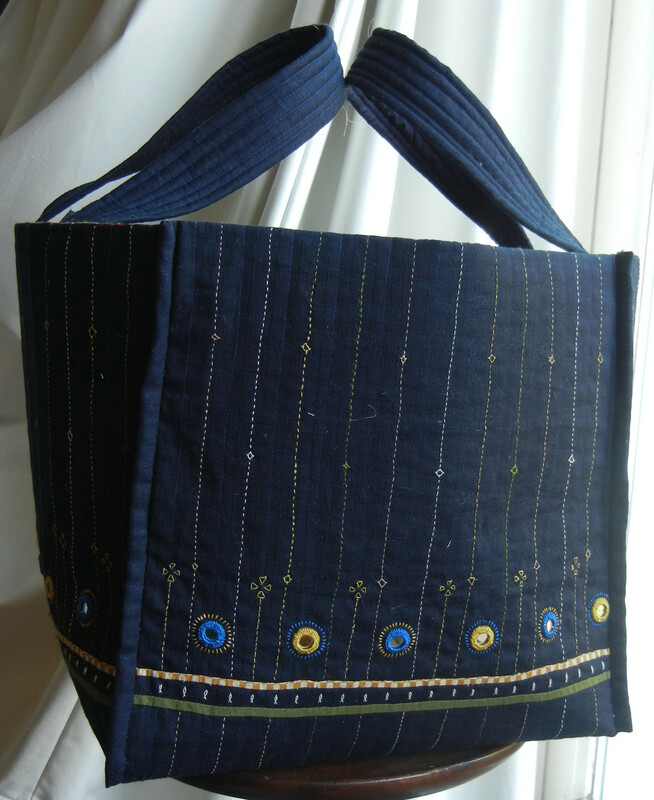 Our Masterclass Workshops are suitable for Advanced stitchers. We assume that you have a working knowledge of embroidery stitches and techniques; frame set-up and design transfer methods. 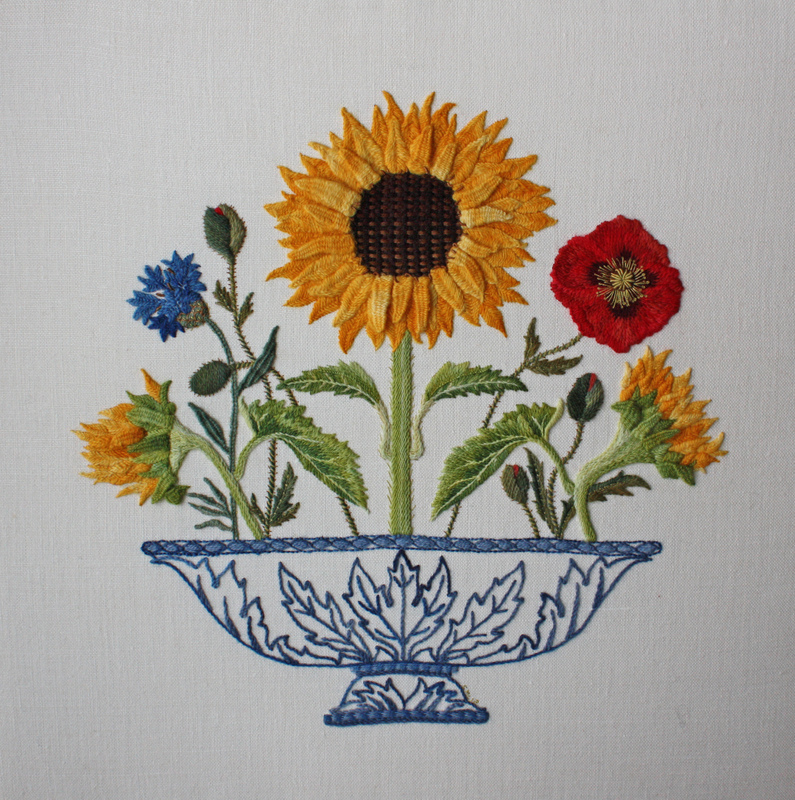 These workshops are an opportunity for experienced students to finesse their needlework skills. ‘Jardin de Fleurs’ Stitch Sampler Panel/ Cushion. This stunning new project, designed by Yvette incorporates 30 embroidery stitches. An embroidery sampler with a difference! The workshop aims to not only provide you with an introduction to new embroidery stitches but also an opportunity to perfect your embroidery technique with Yvette's practicle tips and instruction. Each workshop will be run over three days. Monograms have been used throughout history as a symbol of elegance and refinement and a subtle mark of ownership. This two day workshop will introduce you to fine hand monogramming in the ancient traditional style. Yvette will teach the many varied stitches and techniques that are the foundations for excellent hand monogramming. Basic embroidery skills are a pre-requisite. Bookings are essential and will be limited to 6 participants. 'Creative Felt Embroidery' - Thursday 25 June 2019. Classes at The Crewel Gobelin are limited in size so if you are interested please secure your spot with a deposit to avoid disappointment. We are happy to take expressions of interest when a class is being developed, but once a class has been finalised and is open for enrolments your place is not guaranteed without full or part payment. Class payments need to be finalised one month prior to a class taking place.Bookings can be made by phone, email or in person. If a class is cancelled by The Crewel Gobelin all tuiton fees paid will be refunded. If a student is unable to attend a class and their place is unable to be filled from a waiting list, the deposit and class fee paid may not be refunded. Please note that the projects and designs taught at The Crewel Gobelin and available for sale in kits (all or part thereof) remain the property of the designer/ teacher and cannot be reproduced or taught without their permission.